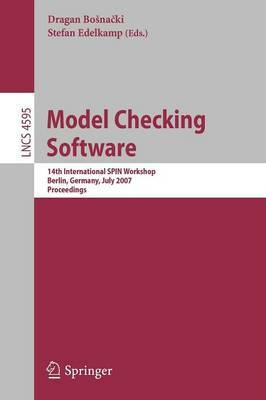 This book presents the proceedings of the 14th International SPIN workshop on Model Checking Software, held in Berlin, Germany. Fourteen full papers are presented, together with four tool presentation papers and the abstracts of two invited talks. The papers are organized into topical sections covering directed model checking, partial order reduction, program analysis, exploration advances, modeling and case studies, and tool demonstrations.